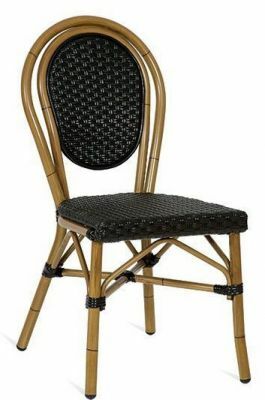 Outdoor Bistro chairs in a continental design with artificial weave in a Black Rattan finish. Available from stock for free and fast delivery. Alternative style outdoor weave chair with an upmarket finish. Includes a stunning bamboo effect frame and contrasting coloured weave seat.